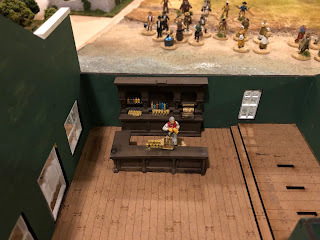 My latest submission for this year's Challenge is more figures and a saloon for Gunghighter Ball. 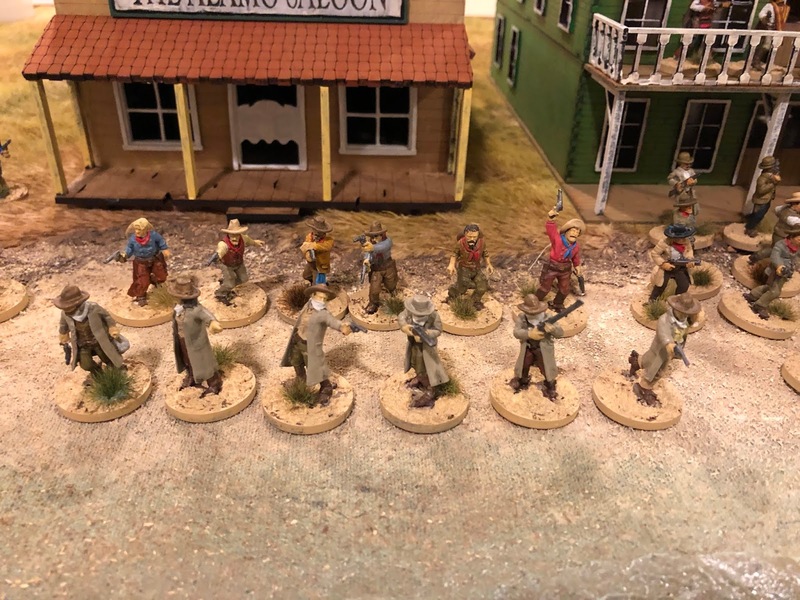 I enjoyed painting the batch of figures I got from the Kickstarter that I purchased some more factions from Knuckleduster - The James Gang in the front and the "Cowboys" in the back. 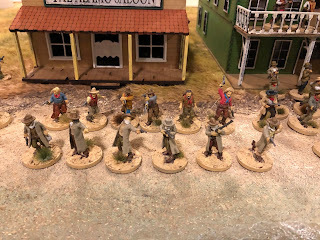 The latter group were the enemies of the Earps in the movie Tombstone. The Earps will make an appearance in the challenge in the final bonus round - "Fellowship". Some general townspeople and characters in the back row. The guy in the tub is really funny. 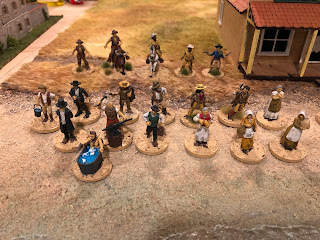 Some characters that may or may not have been inspired by a certain movie depicting the rough and tumble world of Real Estate development on the Old West. The "Alamo Saloon" also came with the kickstarter. In addition to putting out the rules and figures, Forrest over at Knuckleduster also has some really nice building kits. 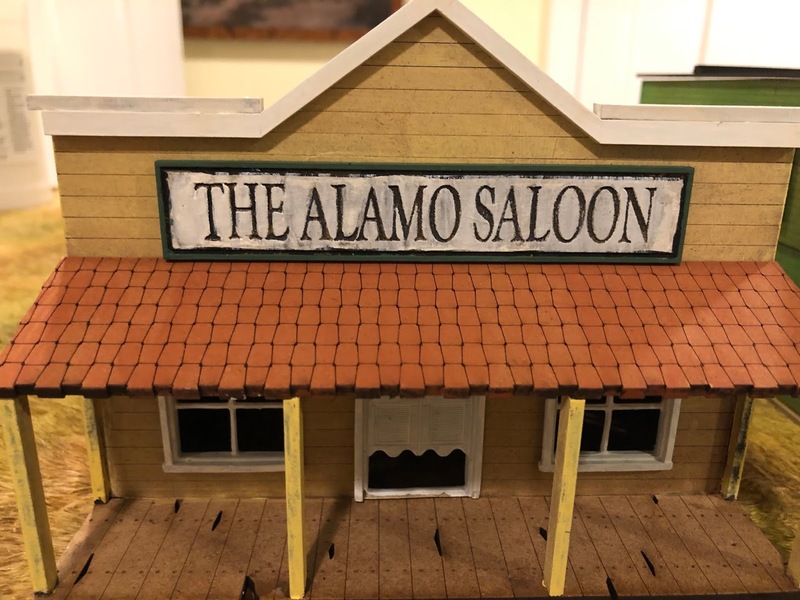 These kits are laser cut wood for the structures with metal and resin detail parts. 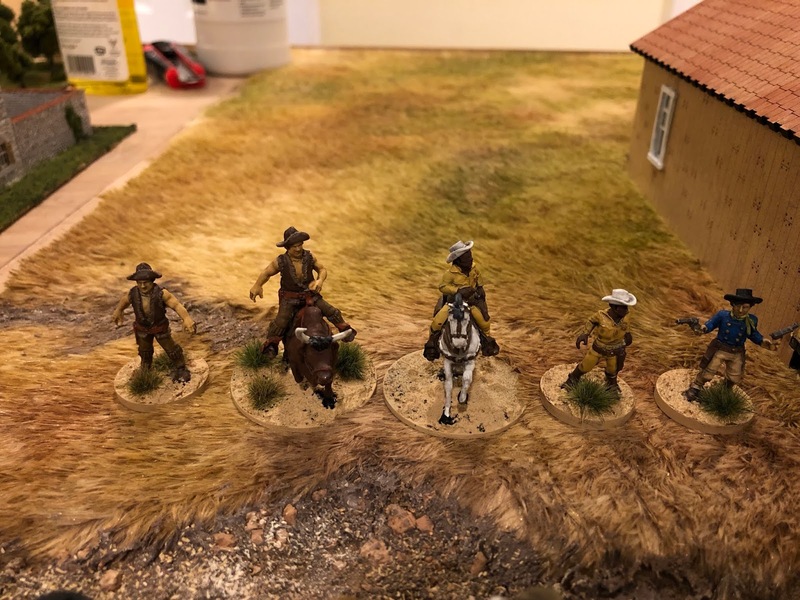 They are very nicely done and are much more substantial in terms of wood weight than any other MDF kit I've seen on the market. 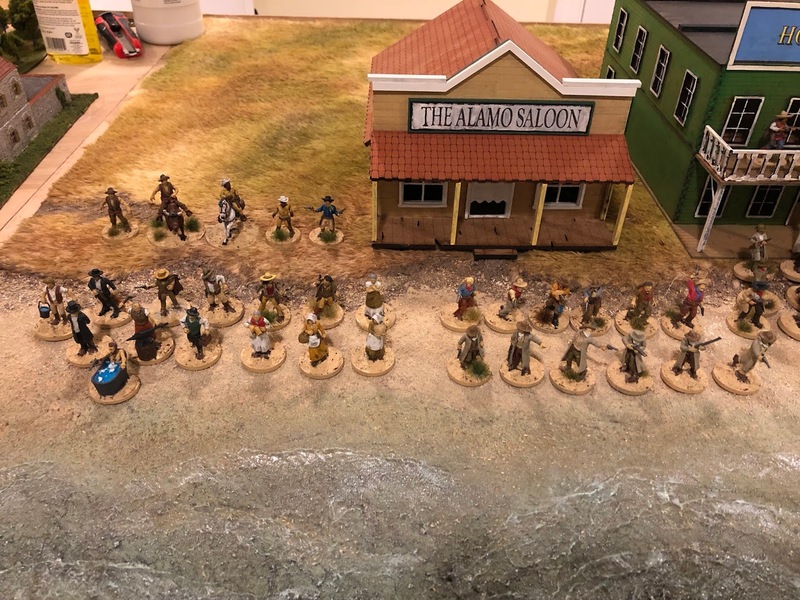 The saloon came with a resin bar set up. The slots on the stage are for some can-can dancers that Forrest makes so you pretty much know that will be an addition. I'm looking forward to trying this game out at the club after a few weeks of business travel. Looks great. Those figures are really nice!